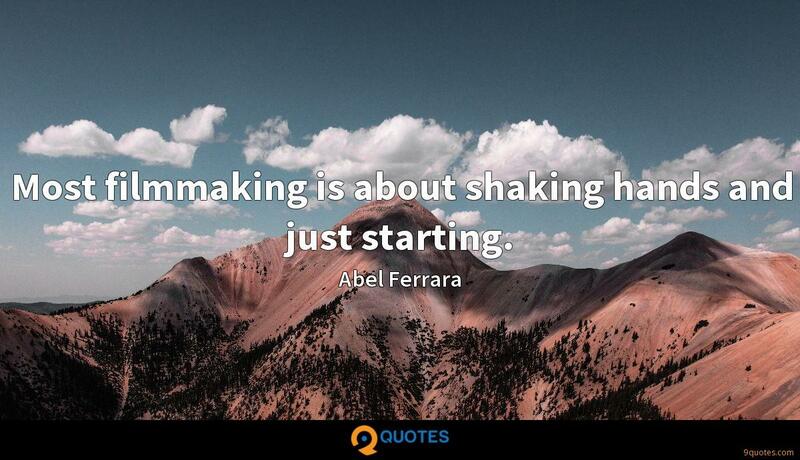 Most filmmaking is about shaking hands and just starting. 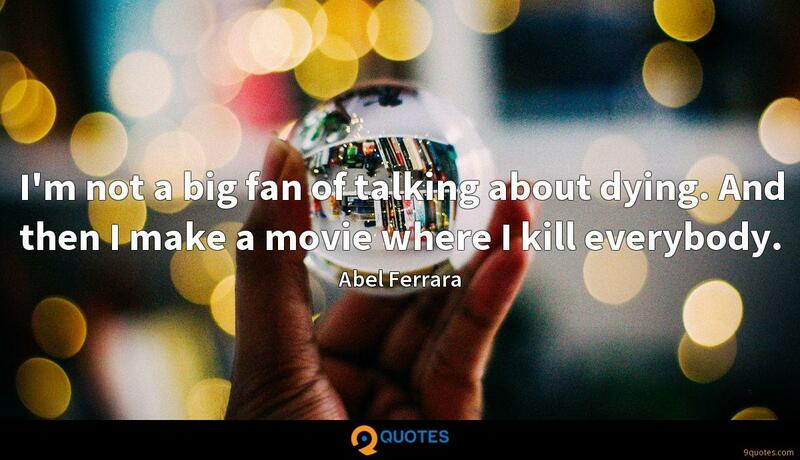 Abel Ferrara Quotes. 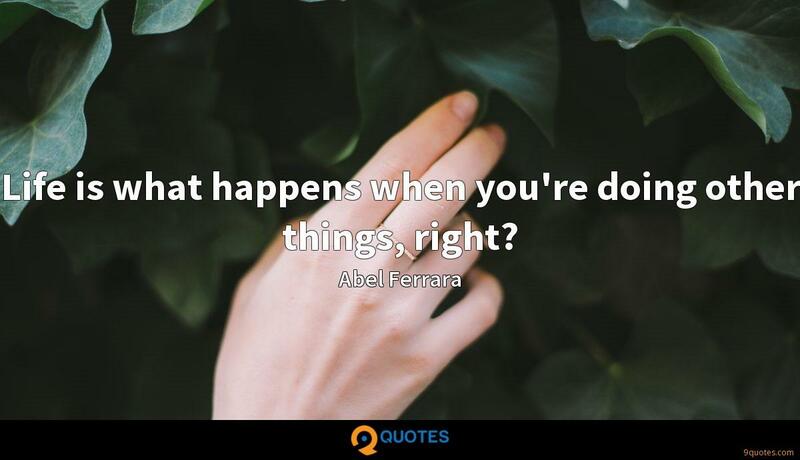 9quotes.com, 2018. http://www.9quotes.com/quote/abel-ferrara-211508, accessed 25 April, 2019. Over the past several decades, a growing number of investors have been choosing to put their money in funds that screen companies for their environmental and labor records. Some socially responsible investors are starting to add free expression and privacy to their list of criteria. I remember starting out and covering songs. 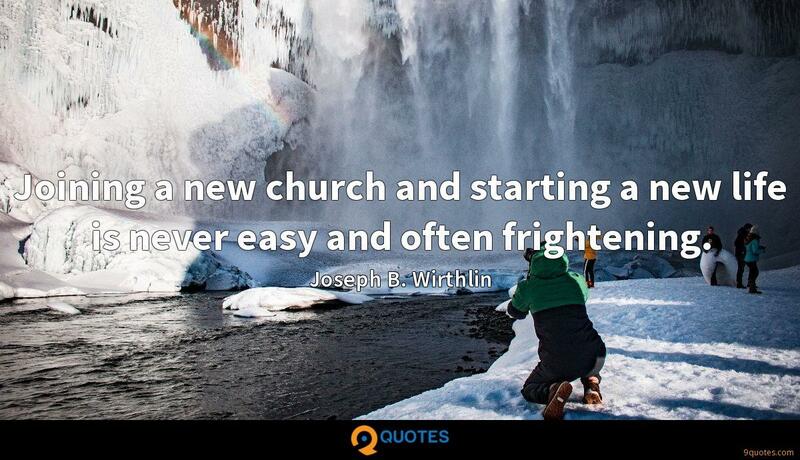 Joining a new church and starting a new life is never easy and often frightening. I'm not a big fan of talking about dying. 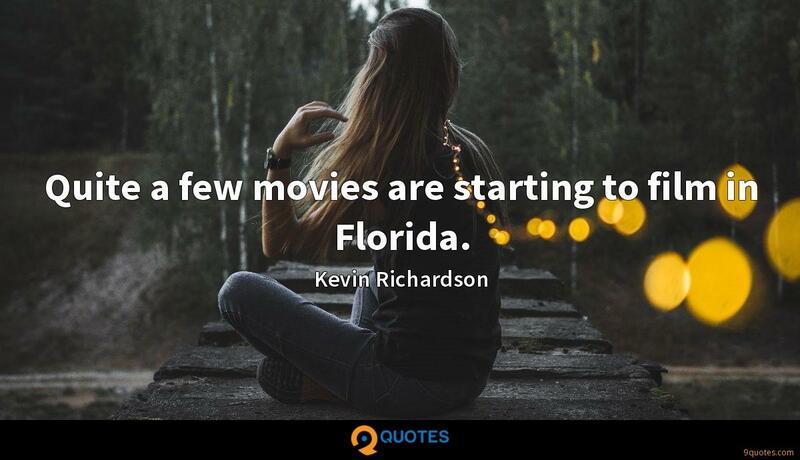 And then I make a movie where I kill everybody. 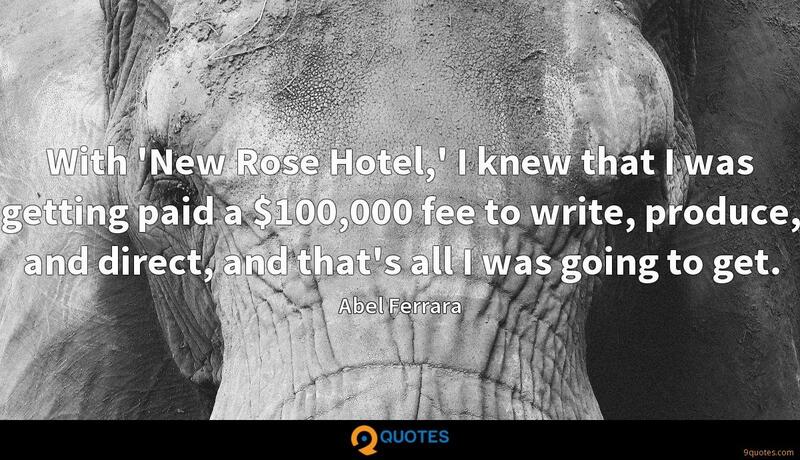 With 'New Rose Hotel,' I knew that I was getting paid a $100,000 fee to write, produce, and direct, and that's all I was going to get. 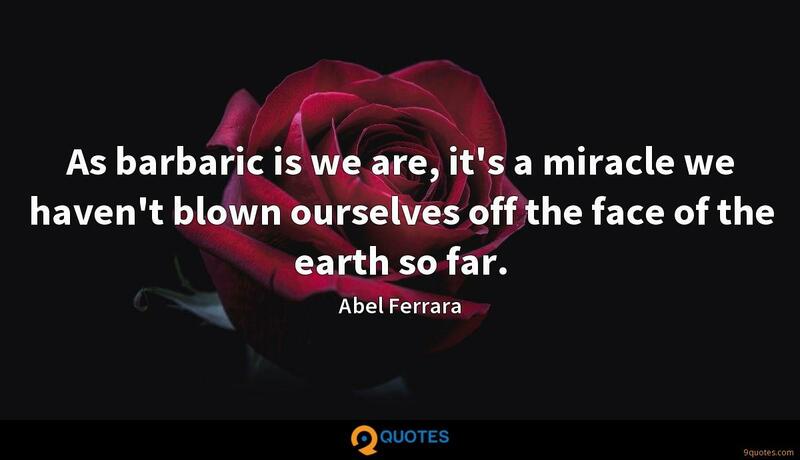 As barbaric is we are, it's a miracle we haven't blown ourselves off the face of the earth so far. As an old-time New Yorker, it's not that I miss the '70s and '80s or whatever. I miss the fact that there was a certain kind of energy that exists when people can live for nothing. Life is what happens when you're doing other things, right?